Duties and responsibilities may be added, deleted, or changed at any time at the discretion of management, formally or informally, in either verbal or written form. Reasonable accommodations are available for qualified individuals with disabilities, upon request. Simplifying diagnostics and Improving global health. Located in San Diego (Poway), CTK Biotech develops and manufactures innovative medical diagnostic tests for both clinical and research applications. Our IVD products allow medical professionals to meet patient needs by quickly and accurately diagnosing illness. The simplicity and portability of our test kits makes them suited for use in a wide range of settings including remote and underresourced settings. 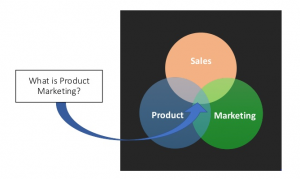 At CTK, the product marketing manager works at the intersection of product, sales, and marketing and works in parallel with project and product managers. Responsible for learning the product’s strategy, getting to know IVD end users, and developing the tools and campaigns that CTK will use to introduce and sell products to the market (ie. webinars, advertising and public relations campaigns, tradeshows, getting the product covered by relevant KOLs, etc. Project management certificate a plus! The ideal candidate will be dynamic, committed to continuous improvement, and possess strong leadership, problem solving, decision making, and analytical skills. This position requires teamwork, planning and organizational skills, strategic planning and business skills, attention to detail, as well as excellent verbal and written communication skills.